On my last visit to the local bookstore, I picked up a book from the shelf marked 'Inspirational'. Hardbound, green in color with a sketch of a tree, apple and a child on the cover - looked more like a children's picture book. But why was it in the 'Inspirational' shelf ? I wondered. I settled down with the book in one of the many 'moorahs' that careless lie around in the store.Reading it did not take much time. But I did sit there for quite sometime contemplating... questioning our attitude towards Mother Earth, our short sightedness and our unending ' I want's..
What a wonderful way of telling the children and at the same time, reminding us adults to love and take care of our beautiful Mother Earth. "Once there was a tree…… And she loved a little boy. And every day the boy would come And he would gather her leaves And make them into crowns and play king of the forest. He would climb up her trunk And swing from her branches And when he was tired,he would sleep in her shade. 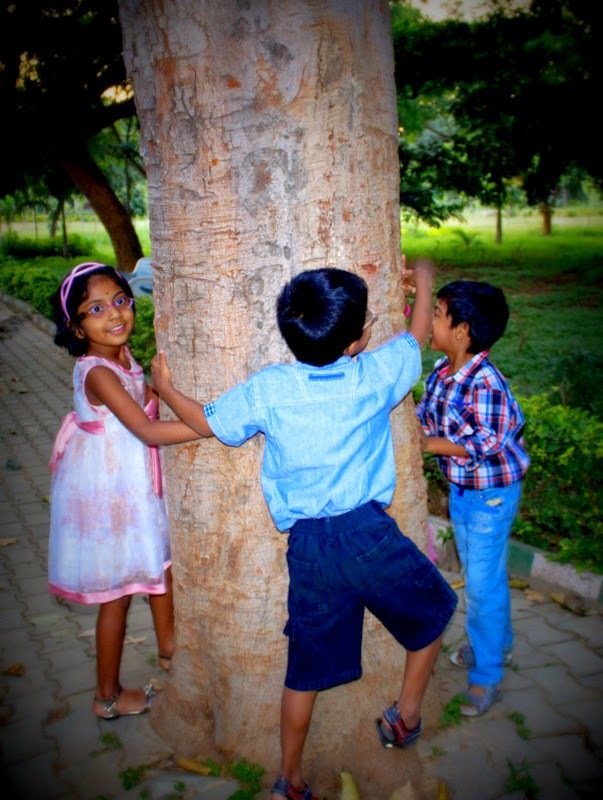 And the boy loved the tree…..Very much..And the tree was happy." "And after a long time the boy came back again.–“I am sorry, Boy,”said the tree, “but I have nothing left to give you— My apples are gone.” –“My teeth are too weak for apple,”said the boy.–“My branches are gone,” said the tree.”You cannot swing on them—”–"I am too old to swing on branches” said the boy. –“My trunk is gone,” said the tree.“You cannot climb—-” –”I am too tired to climb,” said the boy.–“I am sorry” sighed the tree. “I wish that I could give you something… but I have nothing left. 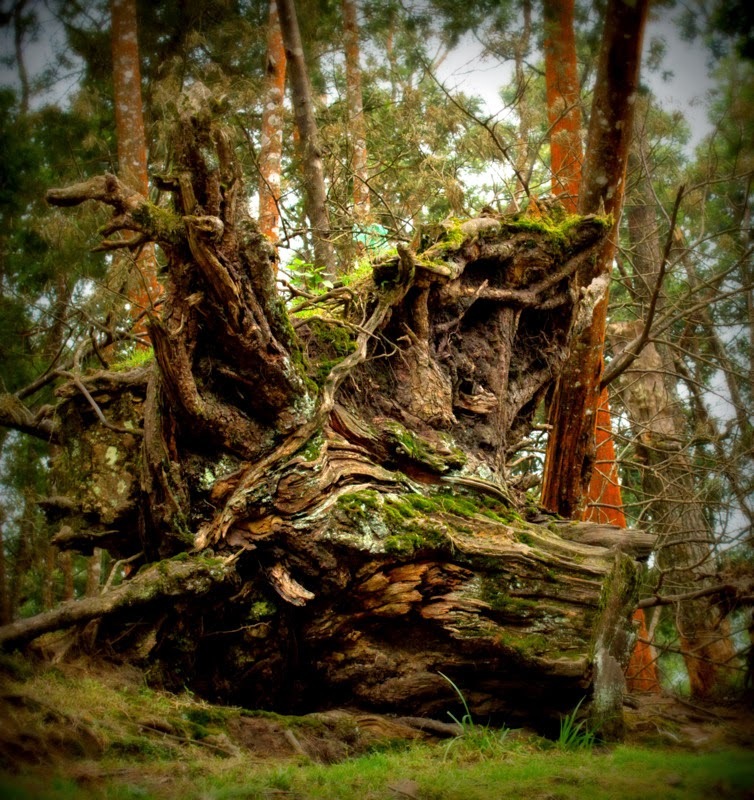 I am just an old stump. 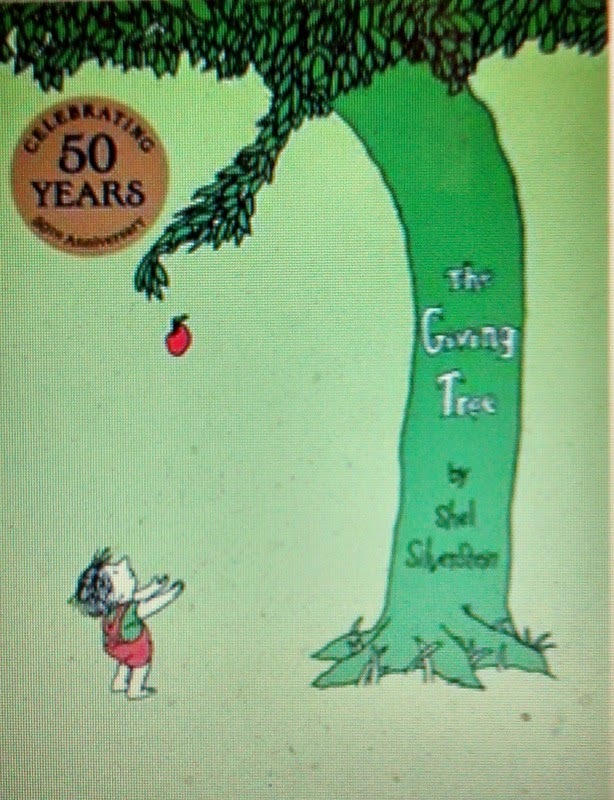 The actual 1973 'Giving Tree' movie in the voice of Shel Silverstein is available on youtube. The book is available in Flipkart, India as well. Age group : can be read to kids as young as 3 years, revisit when they can read on their own again, read it whenever you need to stress on" recycle, reduce and reuse" mantra. For more , read The Giving Tree - Wikipedia.